This is a recap of the second #NPRTwitterChat, a collaboration between the HR teams of NPR and Twitter. #NPRTwitterChat is a quarterly chat that brings together experienced professionals at the intersections of HR, recruiting, and social media to provide job search advice and share jobs. Q1: What Social Media advice do you have for recent grads or students/interns? Q2: The job requires experience, but I don’t have any. How do I get it? Q3: What are some tools, tips, and tech that can help in your job search? Q4: I’m a perfect fit for the job why didn’t I get it? Q5: How can I build relationships with recruiters and/or employees in companies I’m interested in? BONUS: Hiring? Take the last 10 minutes to share your jobs with chat attendees. 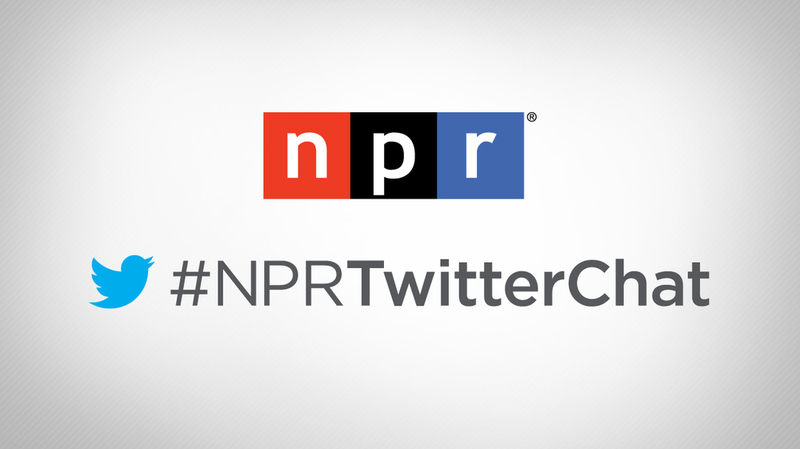 We'll be back for the third installment of #NPRTwitterChat in late Summer. In the meantime, you can keep up with our friends at Twitter on @JoinTheFlock, and NPR at @NPRjobs. Be sure to check out the Storify for many other participants who regularly share career and job search insights like Laurie Ruettimann (@lruettimann), Jessica Merrell (@Blogging4Jobs), Matt Charney (@mattcharney), Justin Mass (@jmass), Steve Levy (@levyrecruits), and others.